but tickets are still available at the door! Please note-This is a dog friendly event (woohooo!) we just ask that you bring your doggo on a leash! We are proud to present the 4th Annual Bow Wow Film Festival! Come join us to celebrate our beloved canine companions and the joy they bring to our lives. We are so excited about the movies in the 2017-18 Tour! A few highlights for this years films; we have movies about working dogs, both old school and new school, we have the return of the delightful Ask Frank and his advice column and we go international with movies filmed abroad! Come laugh and cheer and maybe even tear up a bit as we marvel in all the ways these beloved creatures touch our lives. 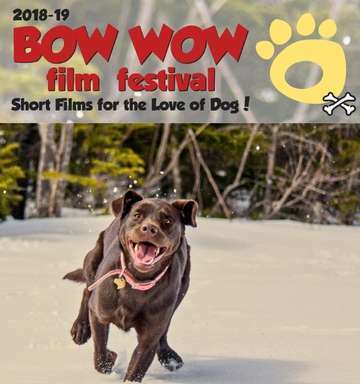 Bow Wow Film Fest is Short Films for the Love of Dog! The show is on July 27, 2018 at Lakewood Heritage Center Amphitheater. Gates will open at 6:30 pm and the movies will begin at 8:30 pm or when it is dark. This is an outdoor event and no refunds will be issued in the event of cancellation due to severe weather. Seating is first-come, first-served and on grass. Attendees are encouraged to bring their own blanket or camping chair. Individual tickets are $15 online and $20 at the door. Ticket 4-packs are available online only prior to the event for $50. All proceeds benefit Spay Today, Neuter Now!